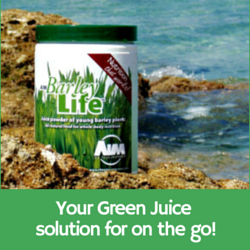 AIM BarleyLife is the most nutritional green juice we have ever found on the market. It is an all-natural, green barley juice concentrate that helps provide the daily nutrition you need to develop a strong foundation for your good health. The green barley juice promotes a healthy immune system through the abundant enzymes, essential amino acids, antioxidant ability, anti-inflammatory activity and cholesterol-lowering effects. The result is a total feeling of wellness. To learn more about this wonderful product, click here. Samson Juicer - In a continuing effort to produce high quality, functional, easy-to-use and affordable juicing technology Samson Brands has introduced the Samson Advanced Multi-Purpose Juice Extractor. The new Samson Advanced series of juicers incorporates newer, studier and more efficient technology that makes operation a pleasure for new users as well as for aficionados that juice several times a day. The Samson Advanced is easy to use and easy to clean. The Samson Advanced is "More than just a juicer." Pick the attractive color that blends into your kitchen. The Samson Advanced juicer is available in Almond, Black, Chrome-colored, and White. Learn more. 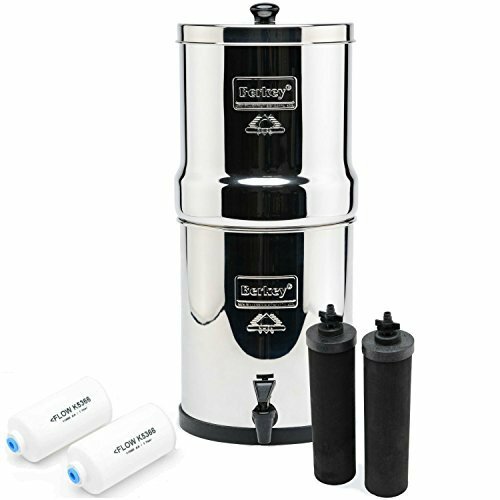 The Berkey water filter goes beyond filtration. It is classified as a water purifier. I can tell you this gravity water system is used every day in our household. It is very comforting to know that chlorine, fluoride, prescription drugs, antibiotics and other chemicals that are harmful to your health have been eliminated. Click on the left to learn more! Mike Adams of Natural News, the largest health oriented website and testing facility, has extensively tested water filters and found the Berkey to be number one. 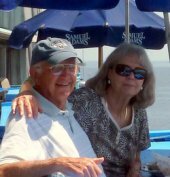 Barbara and I know that this purifier will work when power is lost and you can use any water source such as ponds, streams, or lakes to have pure, clean water. You can also eliminate purchasing water in unhealthy plastic containers if you have the Berkey. It is very economical to enjoy purified drinking water for less than 2 cents per gallon.